The month May comes with a couple of celebration and events. Still, the most prominent event is our general election which falls on 9th of May. For those who are eligible to vote, please do your duty as a Malaysian to vote for what you think is best for our country. We also have our annual Mother’s Day which falls on the second Sunday of May (May 13) as well as Wesak Day celebration on the May 29. Besides that, Ramadan is expected to begin on May 16. Click here to check out the top 10 best hotel Ramadan buffet in the Klang Valley. 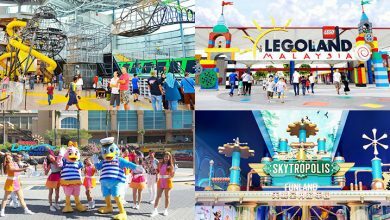 Without further ado, here are the 8 Events That Are Taking Place In KL This May 2018. 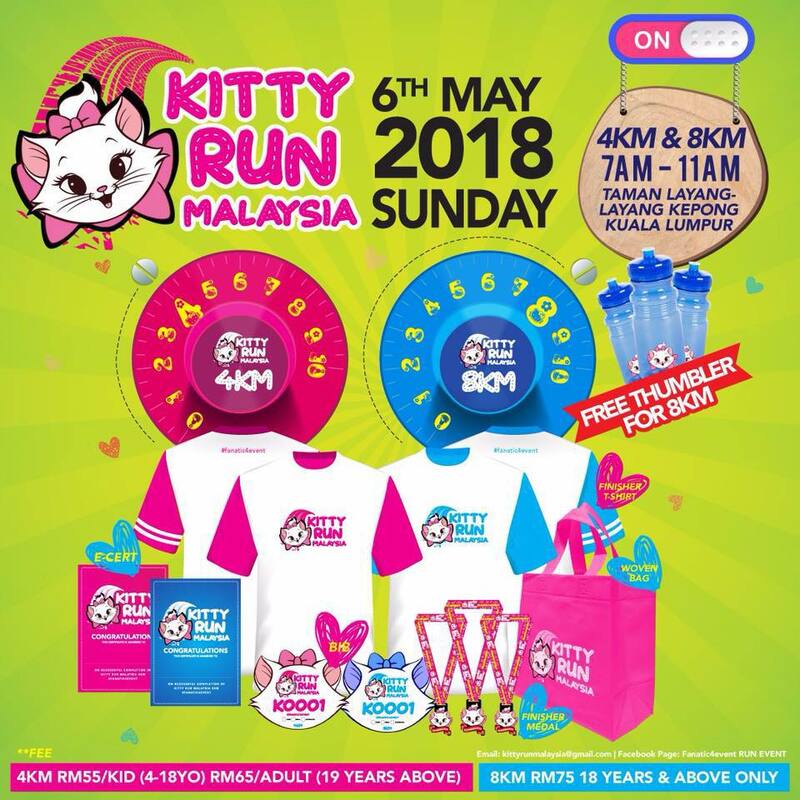 Possibly the cutest cat themed run ever, Hi Kitty Run Malaysia 2018 is open to public and is split into 2 categories: 4km and 8km categories. 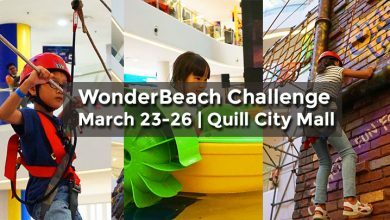 Runners will also be entitled to a Kitty woven bag, T-shirt, race bib, tumbler, and those who successfully complete the race will be awarded a Finisher’s Medal. Prepare yourself to get food coma with Thai Food Festival. 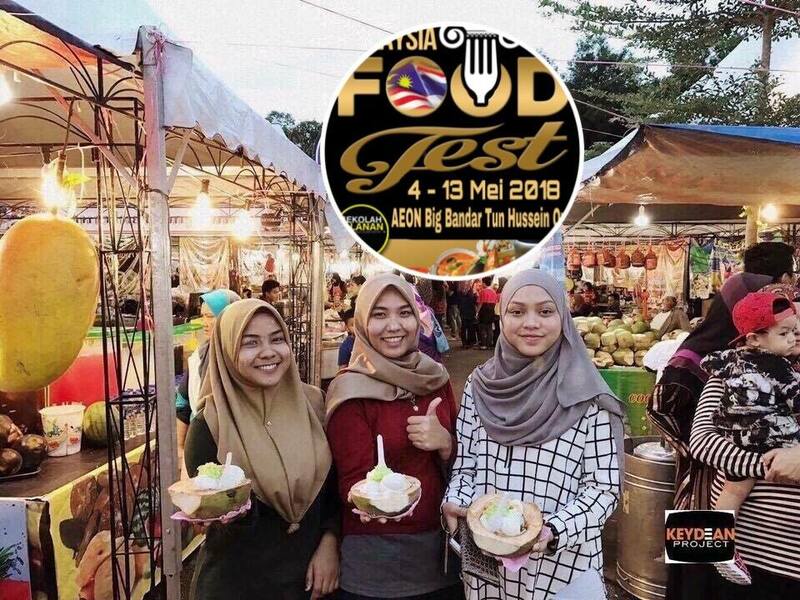 Organise by Street Food Festival, this massive food event features the best Thai food from Thailand, such as Tom Yum, Som Tam Papaya, Fish Satay, Thai Style Nasi Kerabu, and more. You will never walk out with empty stomach. If you enjoy doing yoga and drinking beer, this is the event for you. Beer yoga, which originated in Germany, can now be experienced in Empire Damansara. 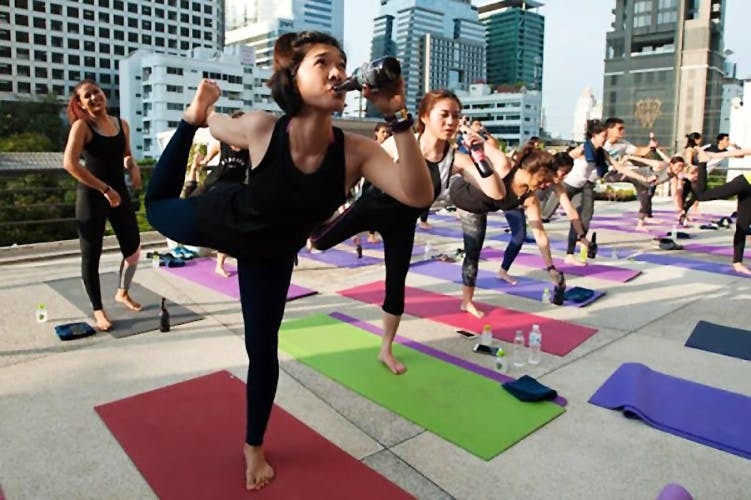 Yogis will sip on beer and use the bottle as a prop during the class. Mother’s Day is a day to show our appreciation to our mother, an important figure in our lives. 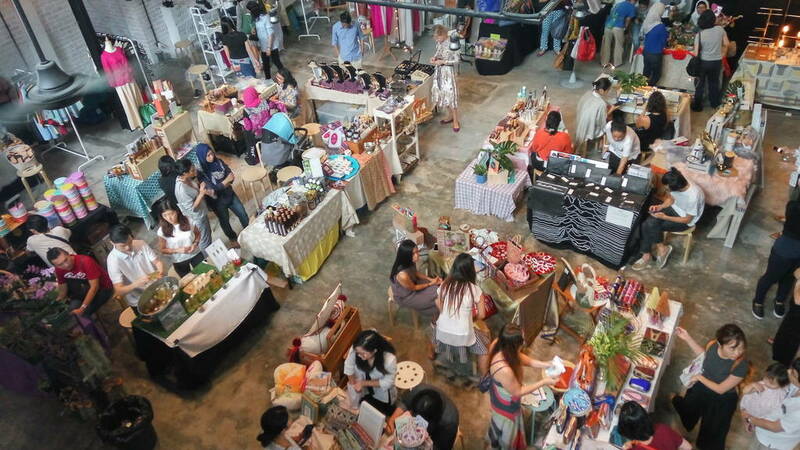 Head over to this 3-day Sunny Side Up Market Bazaar – Mother’s Day Edition 2018 to buy your mother a gift from local vendors, such as Gung Jewellery, The Quest Store, just to name a few. 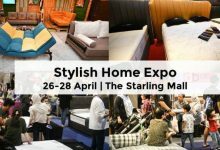 This is yet another food relevant event happening in the Klang Valley. 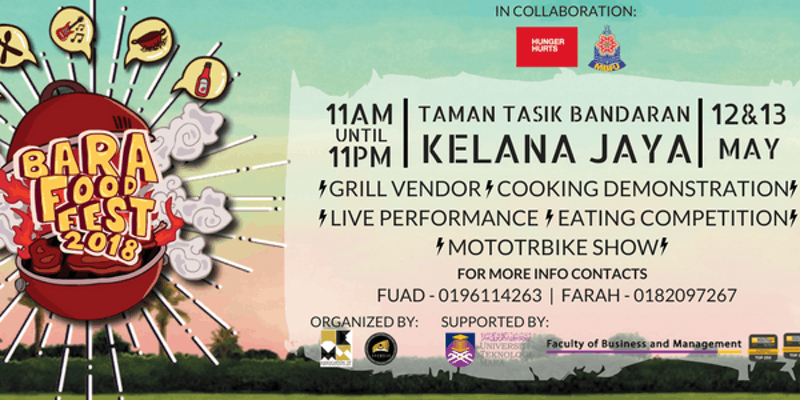 Held by Grandeza Event, Bara Food Fest is a grill food themed festival. Participants can expect different sorts of grill vendors and cooking demonstration in the event. On top of that, there are also live performance and eating competition. Growing plant seeds with kids is a good way to teach them how nature works. Perfect for family with children, this event allows parents and their kids to experience the hard work of composting, weeding, transplanting and harvesting, as a result, cultivate them to be more gratitude to the food served everyday. 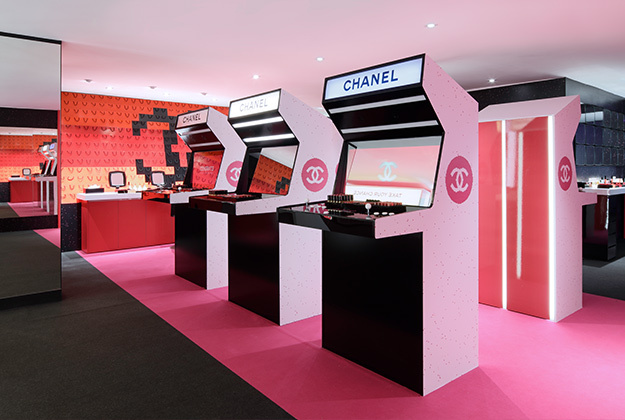 Beauty brand Chanel is setting their arcade-theme pop-up store where makeup junkies can purchase both Chanel’s products and play retro arcade games. Claw crane machines will also be set up to dispense makeup products as prizes. Pre-registration is required, which is now open. 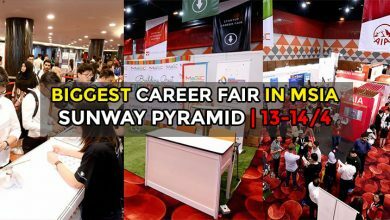 For more info, visit the event page. The most streamed female artist on Spotify in 2017, Dua Lipa is coming to Kuala Lumpur for a concert this May 3 as part of her “The Self-Titled Tour'” The British-Albanian singer-songwriter is known for her chart-topping “New Rules”, “Blow Your Mind (Mwah)” and “IDGAF”. 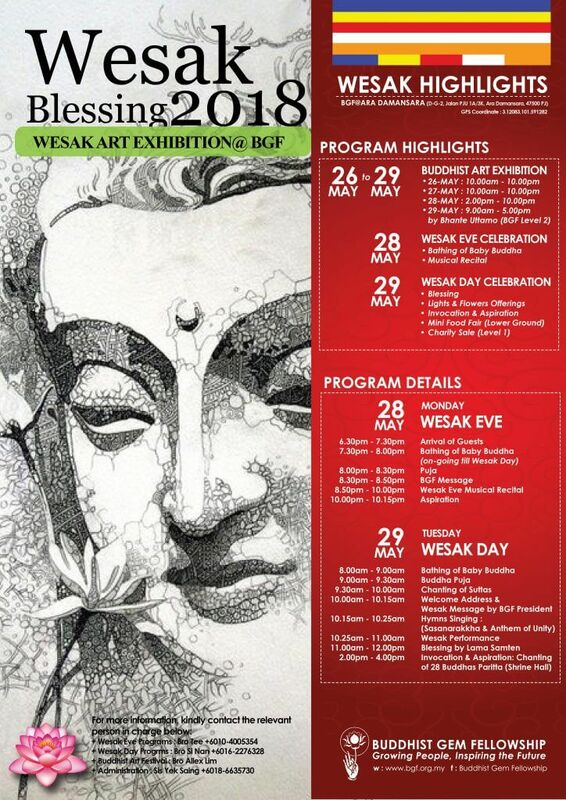 Celebrated in Malaysia and Southeast Asia, the Wesak Day highlights the enlightenment and the birth of Buddha. 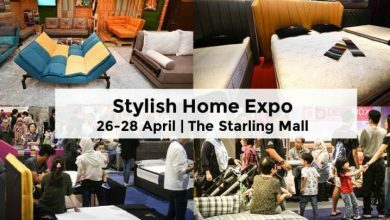 Head over to BGF where they will be having blessings, invocation, aspirations, musical recital, performances by gemkidz, charity sales and food fair.